The advertising industry is experiencing rapid change thanks to the birth of new technologies which is making it even more complex. It is increasingly becoming possible to slice and dice the segment to target the audience who could be interested in the brand. The situation on the ground however is not being helped by the absence of talented personnel entering the industry and which was not being tackled an industry level. 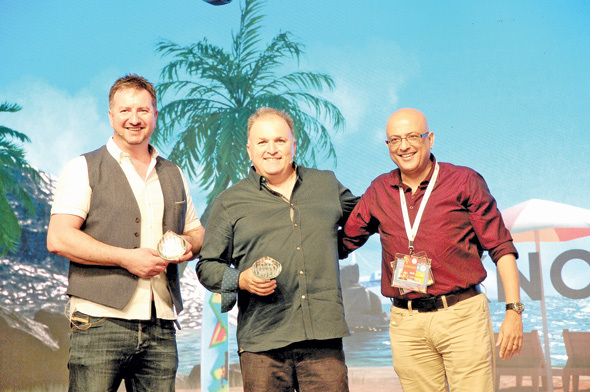 Senior industry personnel at the Goafest 2018 expressed their concern at this trend. The size of the market makes it amongst the biggest in the world at around $ 10 billion Ashish Bhasin, chairman - India and CEO - South Asia, Dentsu Aegis Network said. Digital was at an inflection point due to the fact certain mobile operators had dramatically reduced the cost in the access to digital. Internet speed was now twenty times faster from just two years ago at one tenth the price. This had effects with the consumption of video increasing exponentially and the agency, he said was moving from television planning to video planning. The agency was not concerned if the consumer watched the adv on Youtube or on a TV channel, it didn’t really matter. Things like artificial intelligence, machine learning he said would increase. Data he said would be a problem especially quality data. Now with the increase in the digital bandwith everyone was leaving behind a footprint making easier to access the person you wanted to target. When people purchased tickets online or accessed various sites, it was all tracked. Data was now being generated in huge quantities and it was a matter of time before one learned to access and interpret it better. Mr Bhasin said “This will mean advertising will get sharper and more focused. I hope in my working lifetime advertising will get more targeted and personalised and reduce wastage which is very important. Two people from the same socio economic strata may react differently and the communication should be personalised.” Advertising would become more effective and in a very unique market like India where 16% to 17% of the market was digital and all communication platform like print were still exhibiting strong growth. The increase in education levels was driving this growth. This would continue for the next five to ten years. AI would change the face of media planning as well as the content in advertising. Customising an advertisement for an individual would mean several thousands of versions would have to be created and that would not be possible for an individual to create and this is where AI would step in. however the big idea, the core essence of any advertisement would always remain very important. It should never be forgotten that these technologies would be used to take this idea forward and that would remain the important core. The next two years would highlight the importance of the mobile accessing Indian. India was now an only mobile market and with a young population digital would increase in importance. Keeping in sync with the mood of the session, Dean Donaldson and Jonathan Tavss of Kaleidoko said the future was undoubtedly targeted advertising. With the average individual leaving his or her digital footprint, marketers would be able to target in a very focused manner and achieve results quicker and cheaper. However like everything in India Pratap Bose, founding partner and chairman of his newly launched agency – The Social Street had a contrarian view. He said media had generally sharpened. It was moving from the traditional platforms of media buying, more towards digital and social media, finer targeting etc. He however maintained that print and TV would remain important and it was peculiar to India. Marketers were looking for a far more insightful delivery of media, ideally translating into experiences and eventually drive sales which are vital in this day and age. Good data he said was now possible with companies able to slice and dice data from digital usage. With regards to talent the top twenty agencies in India were not able to attract it. Their mode of operation was still based on old systems which made them unable to provide solutions and the market would not evolve too much in the next two years. Given that 70% of the spend is still TV and print that will not change. Everyone he said was talking about digital, experiencing etc but this was the reality on the ground. Mr Bose said “None of the companies want to rock the boat. The FMCG companies have to achieve numbers and will use the platforms that will connect them to their audience. They were all stuck in a time warp. Digital and its developments are relevant to a very small segment of the population.” This, he said would change very slowly. The absence of good personnel in the industry was a problem for the senior executives. Like any senior personnel however the absence of good talent in the market was a source of concern. An inability to attract good talent and to then keep them was a big problem. This was being handled presently by agencies poaching from each other but the inability to work on an industry level was a problem.